Clamp-on steel sign holder fits rails 75 lbs./per yard and up. 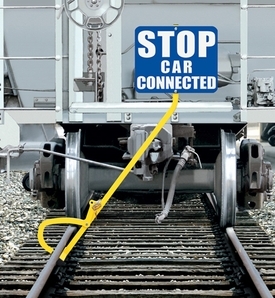 Anti-roll bars hold sign holder to rail in 75 mph wind. Brass padlock included. Easy-Reach locking arm.